Bhubaneswar: The National Dairy Development Board (NDDB) signed an MoU with OMFED for setting up a modern five lakh litre capacity dairy plant on 28 April, 2018 at Bhubaneswar in the presence of Naveen Patnaik, Chief Minister of Odisha. The plant has facility to manufacture value added products also. The State government will provide 51 acres of land and Rs 244.74 crore for the project. The newly built automated dairy would have a spray drying milk powder plant of 10 MTPD capacity with manufacturing facility for 40 TLPD curd, 10 TLPD buttermilk, 10 TLPD Lassi, 3.5 TLPD flavoured milk, 3 MTPD Paneer and UHT milk in tetra brick of 1 litre pack in capacity of 60 TLPD. 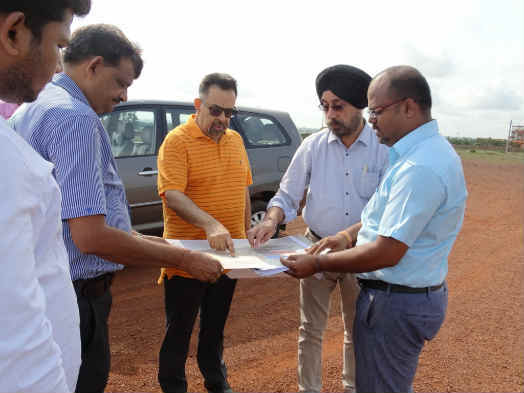 Shri Dilip Rath Chairman, NDDB along with a team of senior engineers from NDDB and senior OMFED officials visited the dairy site and held discussions for early start and completion of the dairy plant. Shri Dilip Rath, Chairman, NDDB said that the new dairy plant will serve the twin objective of making available fresh and pure milk & milk products to the consumers at affordable prices on one hand and provide remunerative prices for their produce on the other. Aided and supported by NDDB’s research, training and professional management services, cooperatives of Odisha will be guided and nurtured to realise their full potential.